I shared this with my wife, who queried, "Are you starting that up again?" In the taxi-cab, I reflected upon this sudden bur valued summons. I had not seen Holmes for years, and I had, I confess, studiously avoided our former bachelors' quarters, for the nostalgia that overcame me felt like an old wound awakening. I still retained my latch key to #-b, having kept it more for the incitement of reminiscence than for any utilitarian purpose. As I ambled up the stairs, I heard the familiar strains of a violin concerto. As I raised my fist to knock on the familiar door, it opened. From a thickly woven wall of smoke emerged the classical features constituting the countenance of Sherlock Holmes-the aquiline nose, the high forehead, the defiant chin. "Dear boy," Holmes smiled. "My dear Holmes," I responded, unable to say more because of a moderate coughing fit which rattled the words in my throat The familiar room had hardly changed, except that the stacks of case histories were even more monumental. On an end-table stood a porcelain hookah, its serpentine smoking tube emitting a light puff of what I instantly sensed as the unfamiliar odor of hashish. For five or six minutes, we brought ourselves up-to-date on the events of the preceding five or six decades, and then Holmes, his eyes flashing in impatience, asked, "You have heard of Arthur Conan Doyle?" and a writer of considerable stature. He authored a history of the Boer War, The British Campaigns in Europe, 1914-1918, The British Campaign in France and Flanders, historical novels, novels of chivalry, and, I believe, penny dreadfuls. He had taken a most active interest in the political affairs of the country. had run twice for Parliament, and had been knighted. "Of course, I have heard of Sir Arthur Conan Doyle." I protested. "This morning I received a letter from him. I should like to know what you make of it." He handed an envelope to me. I would be appreciative if you would grant me a minute of your time to discuss a matter of minimal importance to myself but of major importance to you and Dr. James Watson, whose attendance would he grati-fying. His peculiar talents will stand us all in good stead. Would 7:30 this evening be satisfactory? 1 could make neither head nor tails of it. What connection could there conceivably be between Sir Arthur and us? And which of my peculiar talents were to be of use? It distressed me, but only for a passing moment, that this famous man was uncertain of my given name. Imitating what Holmes had done in our investigation of a scandal in Bohemia, I held the paper up to the lamp's light. but found nothing in its texture to indicate its national origin. In its upper left hand corner was the return address, below and to the right of that, Holmes's name and address. It seemed entirely, normal. A 16-pence stamp in the upper right hand corner where, it occurred to me, the stamp was usually placed. Holmes was leaning against two large cushions of oriental brocade, his silk dressing gown emblazoned with an oriental dragon. He put aside the hookah coil, from which he had been drawing smoke which fogged the place. "Ah, Watson, the years have not improved your perspicacity. You see, but you do not observe. Notice the return address, Crowborough." "It is a village in Sussex, Holmes." "Not to my knowledge." My schoolboy excitement was rapidly being replaced by schoolboy anxiety at this impromptu examination. "In Sussex, some time ago, there occurred a forgery that shook the  scientific world to its heels," he coughed. "The site was a gravel pit called Piltdown." "And who was the forger'?" "That has never been determined, Watson. It was and remains a slur on British science." The light that suffused my mind at this information clarified the forthcoming visit of Sir Arthur. "Ah, then he wishes us to discover the culprit and thus redeem national prestige. Sir Arthur was ever concerned with the honor of the nation." Holmes extracted a cigarette from a crumpled pack of Benson and Hedges and ignited it. "Is there anything that strikes you as unusual in receiving a letter from Doyle'?" "I don't know what you mean." The familiar odor of cigarette smoke assailed my, nostrils. "He's dead, Watson. He died in 1930." "Ah," I countered. Holmes's ability to drive to the important clue never ceased to amaze me. Over our early takeaway of Moo Goo Gal Pan rung up from a local establishment, Holmes filled me in on the Piltdown story. As we cracked open cookies of fortune, Holmes announced, "He's here." I had heard nothing. not even the doorbell. Arthur Conan Doyle was of Holmes's height, but moustachioed and of a build far sturdier than Holmes's. But opposed to his imposing bulk was the equally impressive sinewy strength of my friend. I would not have known on whom to wager in a pugilistic confrontation. We shook hands all round and I served Holmes a glass of port, Sir Arthur a glass of burgundy. "I will come right to the point, gentlemen," began Sir Arthur. I observed him carefully,. When he raised his glass to his lips, I thought I could see not only, through the glass, but through his hand. There was also, if I might take the metaphoric license, a remarkable translucency to his voice - a tremulous quality rather than the boom one would anticipate from so stout a source. He looked as though he weighed seventeen stone, but his movements were as delicate as a ghost's. These clues confirmed Holmes's hypothesis of Sir Arthur's state. "Up to fairly recent times, I was associated with the Piltdown forgery only tangentially. Charles Dawson wrote to Arthur Smith Woodward that I was excited about the cranium and that I offered to drive him anywhere. Once Mr. Dawson found and gave me this." He took an arrowhead from his pocket. "It is one thing having my name associated with the Piltdown  finds. It is quite another seeing myself accused of being the Piltdown forger." A Dr. John Hathaway Winslow moved me, in the frenzied words of the reporter, 'out of the mists of literary legend into the uncomfortable position of suspect.' and the following month an article entitled 'The Perpetrator of Piltdown,' co-authored by Professor Winslow and Alfred Meyer, enlarged on this allegation." Holmes put down his cheroot at the corner of a high stack of memoranda. "And you are applying to us, Sir Arthur," I reasoned, "to clear your name?" "No?" I smelled the familiar odour of paper burning, but could not ascertain its etiology. "Surely, this is a libel, traducing a good man's name for the purpose of titillating a public always hungry for new sensation. Were I you, I should bring these slanderers in on a charge of malicious libel." "That is not my way. What I should like you two gentlemen to do is to conduct an investigation the goal of which will be to determine whether Arthur Conan Doyle was or was not the Piltdown hoaxer. What I have revealed is the only intelligence I will reveal. Planning the general line of attack to arrive at a conclusion free from prejudice will be entirely up to you." This was an extraordinary assignment. It made the hound of the Baskervilles look like a puppy in comparison. I can recall no precedence for this," I reminded Holmes, who was engaged in stamping out a small conflagration with his Persian slipper, "wherein a suspect has come to us  willing to have us prove him guilty, should the facts so necessitate. Holmes, do you remember the man with the twisted lip and a case of identity? In both those, the criminals did apply to us in the guise of victims. But this is quite different. Quite. Very interesting. Hm." "Shall we send a report to you'?" puffed Holmes, depositing ashes from his meerschaum into an adjacent carafe, a twinkle in his eye. It was a courteous way of settling the question of where Sir Arthur lived, still at Crowborough or in airier environs. But Sir Arthur was a deal too sharp for us. "No," he explained, and the twinkle in his eye could have stood cousin to that in Holmes's. My own eyes were, I verified by first wiping them and then gazing into a wall-mirror, more luminous than all of theirs combined, a consequence of exposure to the stimulants of burning paper, tobacco, and Cannabis sativa. more commonly known as bhang. "I'll return at the same hour a fortnight hence." And he vanished. "I can make neither head nor tails of this, Holmes," I apologized. "And further, I'm quite famished." "When a doctor does so wrong he is the first of criminals," Holmes mused, as he had in our adventure of the speckled band. "We do not yet know if he had done wrong." "I was only musing, Watson," he flashed. The assignment he entrusted me with was of a sedentary nature, that is, reading Sir Arthur's memoirs. biographies of him, and, of especial importance, The Lost World. What Holmes would do he did not deign to enlighten me with. He had always been loath to communicate his plans. We were to meet a fortnight hence at the British Museum of Natural History on Cromwell Road. "God bless You," I intoned. I couldn't blame him, what with all the smoking, drinking, and consumption of evanescent oriental dainties. "No, Watson, you foolish fellow, we'll meet by the display of Eryops, a prehistoric salamander, in the hall." The Natural History Museum rose behind an iron fence like a cathedral, a grand building, twin towers flanking the entrance. I passed two large earth-brown structures, one vertical, about 15 feet high. the other a smaller horizontal chunk. They seemed much like the dismembered torso  of an antediluvian giant. or I may have thought that from the lasting impression Sir Arthur's The Lost World had upon my imagination, Actually, they were flora. Fossilized tree trunks. 'These are parts of the trunk of a primitive tree. They were excavated at Craigleith Quarry, Edinburgh from rocks of Lower Carboniferous ages and are about 200 million years old. As I approached closer, I observed that the building was ornamented with gargoyles of prehistoric animals and with plump masonry lizards slithering under Romanesque windows. I fed to pigeons bits of the roll from a native American dish called a hot-dog. It was not hot, though it could well have been made from dog. Inside the Museum, I was received by a large skeleton of a Diplodocus dinosaur, and on the reception committee were also a horned Triceratops and pterodactyls winging out as though from a Fuseli nightmare. In a case lay a skeletal head of Tyrannosaurus rex, its mouth big enough to chomp on all four tykes gawking at it. And then I spotted the display case of Eryops, a 100-million-year-old amphibian from Wichita Basin, Texas. Holmes appeared behind a nest of dinosaur eggs, one baby Protoceratops fossilized in the very act of hatching. "Holmes, look here!" In a display case were the Piltdown fossils. "Those are fake fakes, Watson. The real fakes are not on public display." He pushed a buzzer by the door to the Palaeontology Department. Allowed in after a short wait of forty minutes. we entered our names and addresses into the visitors' book and were then led through a room full of white cabinets, rank upon rank of them, all holding, I assumed, old bones. Our guide turned us over to a young man of lanky appearance, who directed us to a smaller room, sat us at a table, and withdrew from a wall of cabinets a tray laden with fossils. Fragments of teeth and cranium, flints. These were the real fakes. The familiar smell of the grave rose from these relics. Holmes extracted a magnification glass from his pocket and began examining the fossils closely, occasionally nodding, even whistling the familiar tune of a violin concerto. "As for Sir Arthur's alleged involvement," I commenced. During my medical practice, I had had absolutely nothing to do with  ape specimens, and even less with those of other mammals, outside of Londoners, but I was familiar with the human cranium. These fragments were of a particularly thick-skulled person. I shared with Holmes information on Sir Arthur's interest in skulls and phrenology, his acquaintance with one Jessie Fowler, an American phrenologist whose office was in London. She sold human skulls. "Sir Arthur could have obtained one from her." "To be sure. And from other sources as well." He transferred half a jaw to me. It fit lightly and easily into the palm of my hand. "A featherweight," I commented. I picked up one of the cranial fragments. That was much heavier. "This is so apparent, Watson, that the jaw is bone and light and the cranial pieces on the way to full mineralization and heavy, it is wonderful that so few have deduced what you have." I confess I was so well occupied dandling the two fossils that I didn't hear a word of what Holmes said. "The articular condyle has been broken off," I lectured. "And so has the symphyseal region. Two implanted molar teeth. Broad ramus." "You are unjustified in saying that those two structures have been 'broken off.' We can only go so far as to claim that they are lacking." "At any rate, it is not a human jaw," I reassured myself. "An orangutan's. Now, Watson, is Doyle said to have had any particular access to an orangutan's jaw?" "He had never visited the East Indies?' Holmes prodded. "No. Ah. But a friend of his, a neighbour, back in 1906 had been in Malay. This man, Cecil Wray, a member of the Royal Anthropological Society, could have obtained such a jaw from his brother, who was director of a Malay museum that had just obtained orangutan specimens." "Then the orangutan jawbone could have come from Doyle's friend Wray's brother's Malay museum's Borneo collection?" "And this fragment of hippopotamus tooth? Had Doyle visited Malta?" "In all probability, Professor Winslow says, they went ashore at  Malta. Sir Arthur had lived in Egypt with his first wife for six months in 1896." Holmes said nothing for so long I feared he had fallen asleep at my lengthy recital. When I observed him closely, I saw that he had. To enliven him, I picked up a small fossil and asked him what it was, loudly. "Elephantine, my dear Watson," he murmured. "The tooth of Elephas. It's radioactive, you know." I hastily put the thing back. "Then Doyle lived in Egypt. You recall, Watson, you and I were in South Africa then, in 1896, July it was. As the Cape Town Times so cleverly discovered. We know that this Elephas tooth fragment came from Ichkeul. Did Doyle stop off at Tunisia?" "He visited Algeria in 1909, on another Mediterranean tour. Professor Winslow says he 'almost certainly' visited Tunisia. He even wrote a story about Carthage, which is near Tunisia." "And these other fossils-such as this Pleistocene beaver incisor, which come from England. Did Doyle have a collection of domestic fossils?" "And, yes, Holmes there too! On his various golfing expeditions, he could have picked up all kinds of domestic fossils. It begins to look black for Sir Arthur." "Let us recall, Watson, what Goethe always used to say." "Thätige skepsis. Have an open mind, a healthy skepticism, until all the facts have come home to roost. So, then, Doyle on his foreign and domestic adventures did have access to all the fossils of living things. How about the flint implements? He pointed to them in the try. "No lighting up here, mate," the attendant informed us. Holmes ground out his cigarillo. I daren't say where. "Professor Winslow says that most came from a British palaeolithic factory, most of the larger ones being rejects, some were smoothed by weathering, and some had sharp edges." Holmes took a calculator manufactured in Japan out of his pocket and began punching in numbers as he surveyed the tray. "I cannot understand this, Watson. You spoke of 'most' and 'some.' But I find only four flints here." I counted them without the aid of the machine. There were only four. Holmes applied his glass to one of the flints and invited me to look at it. I saw a tiny roundish object the size of a button, but more wrinkled. "What is that, Holmes? "Of course I have! Professor Winslow talks of this. It is often found in flint implements from Gafsa, a town in Tunisia, 'site of the largest palaeolithic flint factory in North Africa.' The circle is complete," I apostrophized. "Sir Arthur transported this very flint implement from Tunisia to Crowborough to Piltdown." Holmes leaned back, his lengthy legs extending under the table. Inoceramus is a pelagic pelecypod, Watson, much like our familiar mussels. It had a widespread range in time, from the Jurassic to the Cretaceous. It also had a widespread range in space, its eggs being carried far and wide by ocean currents. 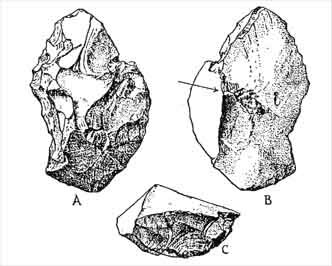 Dawson, in his 'Supplementary Note on the Discovery of a Palaeolithic Human Skull and Mandible,' mentions  this very fossil, Inoceramus inconstans, in this very flint tool." "Fossils of Ignoramus inconstans lie not infrequently in the chalk beds of England and in gravel pits, such as those in the Piltdown region. For my authority I refer to H. J. Osborne White, who speaks of Inoceramus as a common fossil near Lewes, and writes, 'flint casts of Chalk fossils found in this or other parts of the gravel include Echinocorys scutatus Leske, of a shape indicative of the Cortestudinarium Zone, and Inoceramus inconstans Woods.' Osborne White, H. J, The Geology of the Country near Lewes, London: H. M. Stationery Office, p. 65. The flint is Anglican, Watson, not Tunisian." "Douse the fag," the attendant recommended. "Twerp," cursed Holmes, but did so again, reluctantly. "You recognize this, Watson?' He showed me two pieces of rock. He put them together to form one implement. "Ah! This is the famous cricket bat, Holmes. Sir Arthur was an expert cricketeer. His fabricating this is just as good as his putting his signature on it." "We can now summarize all this information on the fossils. 'In all probability' Doyle went ashore at Malta. He 'almost certainly' visited Tunisia. He may have obtained the orangutan jaw from Cecil Wray. He may have obtained this flint tool from Tunisia. I do not find any of this convincing evidence, Watson." "The evidence is circumstantial, Holmes. And as you have always said yourself, in, for example, our adventure of the noble bookseller, circumstantial evidence is occasionally very convincing. Sir Arthur knew his chemistry, his human pathology; he had an abiding interest in anthropology and archaeology." "I believe we have exhausted whatever clues this tray has to offer." "What about the cricket bat?" I nudged. The telephone rang. The attendant, who had been watching us for further signs of malfeasance, went to answer it, leaving the fossils to our discretion. Had we been of larcenous intent, we could have nipped a few of them. The picture of Inspector Lastrade pursuing us through London was so exhilarating, I almost did cop the canine. But Holmes was rising. We retraced our steps to the Palaeontology Department office, but instead of leaving the Museum, detoured to an elevator. This took us to the fourth floor, to a door which automatically swung open outwards, causing us both to jump away, yet another door was unlocked and we were in the Palaeontology Library. He riffled through letters. "Perhaps," Holmes opined, pausing at a letter, we shall find here some evidence of whether Sir Arthur is qualified to be the Piltdown hoaxer." "He was highly qualified. Interested in everything from skulls to chemical experimentation. Did you know, Holmes, that he had a financial interest in a Kent coal mine? And was very excited at dinosaur fossils which came from it. As a medical man, he would, of course, be expected to have deep and comprehensive knowledge of all sciences. What are you looking at?" I regret to say it was a mere concretion of oxide of iron and sand. Sir Conan and the ladies pointed out several "striking resemblances" to the .carcases" of various animals, all mutually destructive! But the visit was not altogether lost for as I was trying to draw Sir Conan away from the hope of finding much in the Sandstone and directing his attention to the drift deposits above I espied a beautiful flint arrowhead embedded, and in view of us all. Subsequently we found worked flints; and so I started him off on a new and I hope more fruitful enterprise. I was so sorry at his disappointment-he is such a good fellow-but the new find revived him a lot. Of course, I have given him the arrowhead and a little flint saw I found at Crowborough (a mile away) some years ago. They are both late neolithic and no use to us, but being found so near to him he is very interested. "It does not seem that Doyle was held in high regard as a palaeontologist, to Dawson at any rate." Holmes unearthed a small tin of tobacco and inserted a pinch of snuff into each aquiline nasal passage. "Ah," he commenced. "Chew!" he concluded. "No sneezing in here, sir," scolded the plump young librarian. "You are being premature, Holmes," I ejaculated. "The next letter, Watson, might resolve the issue." Yes, C. Doyle is writing a sort of Jules Verne book on some wonderful plateau in S. America with a lake, which somehow got isolated from Oolitic times, and contained old [?] fauna and flora of that period; and was visited by the usual "Professor." I hope someone has sorted out his fossils for him! People do find in the outer world what accords with their thoughts in the inner world. I found this letter important because it alluded to The Lost World and it was dated 14 February 1912. Holmes, however, snickered, "You see, Watson, again: Dawson hopes that someone has sorted out Doyle's fossils for him." "He may have been feigning ignorance, the better to mislead Dawson. Look here, this letter dated 29 November 1912, Dawson wrote that Sir Arthur was excited about the skull and offered to drive him in his motor-car. Well, Sir Arthur had access to the pit." "I myself drove to Crowborough and then walked to the Piltdown pit. A distance of 17 kilometers, on a day so delicious, it quite brought the strains of the Pastoral Symphony to mind." "Only 17 kilometers," I interjected. "Sir Arthur was a great walker. He could easily have attained the pit to dig in and to plant the fossils in." "He needn't have done much digging. Only a few fossils were found below the surface. The hoaxer could have dropped them on the spoil heaps easily enough. How often did he go to the pit?" "Professor Winslow writes 'there can be little doubt' he often visited the site." "What does the record indicate?" "Other suspects might have been able to sneak in and out without anyone paying much notice. But Doyle's appearance there would have drawn much attention. I'm afraid that we must discount this part of the accusation. That Doyle lived in Crowborough signifies no more than that  he had lived in Egypt. Professor Winslow's 'there can be little doubt' is appropriately tentative. Whenever anyone says there can be little doubt, you can be assured there is much doubt. The rhetorical technique is called begging the question." You can't implicate somebody just because there is a motive. It seems silly when you have concrete evidence against other people, not just circumstantial evidence. You can't just throw bones on the ground at a large site and expect somebody will find then. You have to be led to a bogus discovery. And Professor Ian Langham-here-Winslow's is 'the flimsiest of recent attempts to identify the hoaxer.' But we may approach the subject of Sir Arthur's motive by talking about The Lost World. Now-"
"Concrete evidence? I didn't know there was any against anyone. However, when I walked to the pit and, with a garden trowel, did a bit of digging on my own, I saw no one." "Which does not mean that no one saw you." In the 1913 volume, another letter referring to Sir Arthur. Dawson remarked that he had heard from C. Doyle about the "separates," which I understood to refer to reprints of the forthcoming joint paper to the Geological Society. I was eager to discuss the date of that letter mentioning Sir Arthur's Jules Verne novel, The Lost World. Holmes removed a small camera from his jacket pocket and snapped a photo of the drawing of the arrowhead Dawson had given to Sir Arthur. "Let's go, Watson." He returned the volumes. We walked the greensward to the subway leading to the South Kensington station, and bought our tickets to Baker Street. We sat side by side on the train platform bench, behind us planters tropical with ivy and laurel, in front of us tracks, a fence, and behind that an ancient gray wall. Holmes borrowed 20p from me, walked to a con[169[fectionary machine, and returned with a Cadbury fruit and nut bar. "The Lost World," I reiterated. Holmes lit a cheroot and puffed away contentedly. I observed the yellow stains on his fingers. I had always attributed those to his chemical experiments, but now, my insight, sharpened by the Piltdown grind, suggested that the stains were due to some other cause. "All right, Watson," he conceded. "But you had better first relate why The Lost World is important to a determination of Doyle's guilt or innocence as the Piltdown hoaxer." "Well, Holmes, first of all, it contains many references to forgery and even to what the forger was going to do. One character says that the exposure of a fraud would be a journalistic coup bringing romance into the world; another is afraid that people will think the loss of photographs a fakery; a third speaks of coming upon 'a practical joker, which I should think would be one of the elementary developments of man.' Holmes, are you falling asleep again?" "Very curious, very curious," he murmured somnolently. "That a train has not yet arrived." "But you said very curious twice." "Caverns generate echoes. Do you think Doyle suspected a hoax?" When I asked Holmes a question, I did not, so to speak, have the answer in my pocket. But I often felt that Holmes did have the answer as he searched me looking for it. "My thesis, Holmes, is that Sir Arthur did not suspect, but committed, the hoax." "Another character says" -I had my notebook open again-"'Even professors might be misled by the desire for notoriety.' And of a photograph of bones, not fossils, of an animal long thought extinct: bones can be 'vamped up for the occasion.' Is there any better description of the Piltdown hoax than that?" "I cannot resist one more quote. 'If you are clever and know your business you can fake a bone as easily as you can a photograph.' Isn't that astonishing, Holmes? Sir Arthur confessed to the crime before he had even committed it!" "Watson, you are not merely seeing, you are observing." Our train finally arrived. I headed for a no-smoking, but Holmes elbowed me into a smoking car. The door slid shut. Holmes lit up a stogy. With Professor Winslow's analysis as our guide, I pointed out resemblances between sites in the novel and sites in the weald-such as the explorer's camp being located where Lewes was, Lewes the town where Dawson had lived. The brook of Maple White Land corresponded to the River Ouse, and so on. Holmes scrutinized the maps until the train pulled into Gloucester Road. "The Lost World, Watson is a roman à clef?" "Doubtless, though I fail to see the significance of that." "Indulge me, my dear fellow. Like the fox-hound you have often compared me to, I do have to sniff about here and there before snatching  the prey. Which real people are the characters modelled on?" "Professor Challenger is modelled upon William Rutherford, a physiologist of the Edinburgh Medical Faculty. It has been proposed that Lord Roxton, another character, is based upon Roger Casement, in that both the fictional Roxton and the real and pitiable Casement vigorously opposed the slave trade. There's even a comment on the staff of the British Museum being unable to identify some fossils." "Then, Doyle fashioned certain of his characters upon real people?" "To be sure. The ape-men in the novel are red-haired. I believe that orangutans are red-haired apes. Sir Arthur even indicated in the book that he would plant an orangutan jawbone." 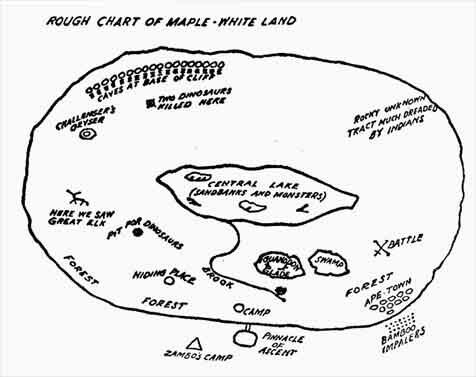 "Then suppose as Doyle fashioned his characters upon real people, he fashioned the terrain of Maple White Land upon Sussex." "That's apparent." I was beginning to feel like one of Socrates's students being gently guided to a precipice. "This map of the lost world can, by adroit selection, be shown to be modelled upon Piccadilly Circus. But I'll concede that its model is the weald." I shrugged my compliance. I could not speak. I was being asphyxiated by a barrage of smoke, Holmes having switched to an exquisitely odoriferous tobacco for his pipe, something quaintly tinged with the familiar odour of Afghanistan mountain goat dung. It occurred to me that he may have taken unfair advantage throughout the years of our concourse in depriving me of oxygen. The rumble of switching tracks announced our imminent arrival at High Street, Kensington. "I wonder, Watson, if in the interests of justice you would be so kind as to specify whether Doyle tells us that he was in fact using the Sussex weald as his model for the book." "I must admit, Holmes, you do ask deucedly clever questions. Yes, the plateau is explicitly said to be as large as Sussex; footprints are compared to those in the wealden clay; iguanadon footprints are said to have been found in Sussex as well as in Kent. Other terrains are also referred to-the basaltic upheavals are compared to the Salisbury Crags at Edinburgh and a stream is said to be like a West Country trout stream. The lake, why that's compared to the basin of Trafalgar Square. Deucedly clever I must admit. But what are the heads and tails of it?" "I submit to you, Watson, that B is more congruent with the facts than is A. The weald has been ever favored as a place for prehistoric man; Doyle knew that, as anyone even with a dilettante interest in natural history would have known that. The reputation of the weald was the source of its being chosen both for the novel and for the forgery." "But, Holmes, The Lost World was written before the Piltdown hoax began. Professor Winslow says: 'The timing is crucial, for the seeds of The Lost World appear to have been planted in Doyle's mind long before Piltdown was a site of recognized significance in anyone's mind.' Sir Arthur began the manuscript at least as early as August 5, 1910. The Geological Society announcement was on December 28, 1912. The Lost World was published in April 1912, eight months before that announcement. How could Doyle have known the details of what was discovered in the pit? Why, the jawbone itself was not discovered until June 1912!" Holmes withdrew his calculator and punched its buttons. "The orangutan's jawbone then was discovered two months after the publication of The Lost World, which novel features orangutans." Holmes here merely aped my own words. "What does that signify?" I was embarrassed by my friend's lack of perspicacity. "It signifies that Sir Arthur had planted the orangutan jawbone." "Really?" he drawled. "But it is at least as likely that the orangutan inhabitants of The Lost World were modelled upon Edgar Allan Poe's 'Murders in the Rue Morgue,' which features an orangutan as its villain. Ha, ha," he emitted. "Your Sir Arthur and the savage orangutans. Conan and the barbarians." My poor friend's execrable sense of humour appalled me. "May I ask you, Watson, why Doyle is supposed to have committed the Piltdown hoax?" "What was his motive? We have here a man who has no reputation as a jokester. Though that scene comparing the Ape-Man King's hairy chest with Professor Challenger's-" Holmes permitted himself a giggle. "What? I didn't mention the detail of hairy chest. Why, Holmes, you scoundrel, you've read the book!" "I didn't say I hadn't," he huffed. I didn't spend all my time traipsing from Crowborough to Piltdown. Now, Doyle appears to me as precisely the sort of man who would not pull a prank like this. He was ever eager for justice, not just for national honour, but for the honour of persons, even the most insignificant. His defense of Roger Casement is a point, Casement a traitor no less. And of Oscar Slater, of the Hindu George Edaffi. He was passionate for justice and for legality." "Holmes, you double scoundrel! You've read the biographies!" We were now at Nottinghill Gate. "Passionate for justice, Watson. Think of what he was involved with at the time of the Piltdown hoax. Lecturing around the country on the Belgian atrocities in the Congo. At Liverpool, 2,500 people attended. He represented the Congo Association, and wrote The Crime of the Congo. Involvement in a forgery, and Professor Winslow says that he pushed the thing so as to have it exposed as a forgery, would have tainted his crusade on matters of far greater importance than what came from a Sussex pit. Doyle was a man of affairs, one of the most famous citizens of the time." He went on itemizing Sir Arthur's achievements as the train whistled into Bayswater Road. "What kind of a man was he, then?" "I suspect, Holmes, that he knows us better than we can possibly know him." "A good point, Watson. But if character has anything to do with crime, then Sir Arthur's character perfectly prevents him from having been the hoaxer." "Still," I insisted, "Sir Arthur could have done it. You ask about motive. Sir Arthur's motive was to embarrass arrogant and narrow-minded materialistic evolutionists such as Sir E. Ray Lankester. Sir Ray apparently believed that spiritualism is a symptom of cerebral disease." "And so it may be, Watson." "You see, Holmes, Sir Ray also anticipated that a certain kind of ape-man would be found. He would have a brain cultivated enough to manufacture flint implements. Thus, he set himself up. In Professor  Winslow's words, 'He provided a list of objects to be discovered or verified as being man-made, and the hoaxer obliged him on every count.' Sir Arthur's motive, then, was to use Sir Ray's own predictions as a way of embarrassing him and the other materialistic evolutionists who, by falling for Piltdown, demonstrated an ineptitude that denied their pronouncements on spiritualism." "I didn't understand a word of what you just said, Watson." "Sir Arthur wanted to show the World that evolutionary science was as fallible as spiritualism." "Excuse me." Holmes rose and begged a long, thin cigarette from a child with green hair. "Now Watson, we both know something of Doyle's attitude towards Lankester." "Yes. In the novel, Professor Challenger, to prove the authenticity of the photograph he had taken, shows Malone pictures from one of Sir Ray's books, a stegosaurus, a pterodactyl and a diagram of its wing. Ray Lankester is called by Challenger his 'gifted friend.' The Lost World may be, though I'm no literary critic, as you well know-." Holmes agreed, much too eagerly. "It could be an animated cartoon of Lankester's book." "Very nicely put. Challenger is a humourous character, eccentric, physically kin to an orangutan. Yet he is the instrument to show up the bias of his colleagues, and I detect an affection for him. There was one line, Watson, you recall? 'Summerlee and Challenger possessed the highest type of bravery, the bravery of the scientific mind.' That doesn't sound much of an attack on the scientific mind." "Sir Arthur was being ironical." "Irony is the last refuge of the literary critic probing authorial intention." Holmes went into a diatribe against those critics who look so deeply into things that they miss what is right in front of their eyes. First, he pontificated, we ought to consider that a person means what he says, we ought to look for the least costly hypothesis; if that makes no sense, we can then probe deeper. The train had stalled, though Holmes had not. "Now, Challenger, whom Doyle likes, likes Lankester, a pattern we may describe as guiltless by association." 'Very much of a mixed bag. Sometimes, as in an article on the missing link, he claimed unity between cranium and jawbone. On the other hand-"
I began to fear that Piltdown Man had as many hands as Siva. "On the other hand, at the Geological Society meeting, Lankester said that the jaw and cranium may not belong to the same individual. And after the Site II finds, he thought that perhaps some of that had come from the Piltdown pit. Even in his article, he adds a cautionary footnote. Lankester surmised that the skull was only 1,000 years old and that the mixture of fossils is to be accounted for by their having been carried by streams from different places into the one pit. I believe that his view was most clearly stated in a letter he wrote to H. G. Wells, 'I think we are stumped and baffled.' The most prudent way is to keep the jaw and the cranium apart in all argument about them.' "
The appearance of Edgeware Road coerced us to talk fast. "I am obliged to admit, Holmes, that Sir Arthur was a proponent of evolutionary theory. The synopsis of evolution provided by a minor character, Professor Murray, was quite attractive as it is related in the novel, from the initial flaming gaseous globe to solidification, the forming of mountains and streams, the beginnings of organic life, up the rungs from mollusks to reptiles to early mammals to the creation of an obnoxious heckler in a red tie. Evolution, Professor Murray says, 'was not a spent force, but one still working, and even greater achievements were in store.' That does not show an animosity towards evolutionary theory." 'We are strolling down Queer Street to be sure, Watson. Here is an anti-evolutionist who defends the theory of evolution and an anti-Lankesterian who corresponds with Lankester and uses his book as a guide to the fantasy of The Lost World. If we remove Lankester as a target of Doyle's, we remove Professor Winslow's motive for Doyle to be the Piltdown hoaxer." "John Lamond," Holmes postscripted, "Doyle's first biographer, has shown that to Sir Arthur evolution will continue beyond material development into spiritual, which may remind us of the Omega theory of Teilhard de Chardin. And in an interview published in the Buenos Aires Standard, 4 August 1929, Doyle said: 'But spiritualism is developing. It is undergoing a process of evolution, as our world itself did, according to Darwin. And just as we are told that man has descended from the monkey, so from the visible phenomena of early days, when spiritualists commenced tablelifting and other like experiments, we are now changing to something higher, something more intelligent.' "
What was it? Something quite wrong about Holmes's position." Holmes, what are you doing?" He had removed a tin from his pocket and was stuffing debris into his  mouth. "This is the latest thing, Watson. Chewing tobacco." Holmes was ever up on technological advance. "It's not quite that simple, Holmes. I have some references from the autobiography that are pertinent to our inquiry as to whether Sir Arthur's attitude towards evolutionary theory justifies his being the Piltdown hoaxer. Have we time for me to read them?" "As a child at Stonyhurst School, Arthur objected to the priestly threats of hell, which objection he gives as reason for abandoning orthodox Catholicism." Holmes mouthed something, which I translate as, "He substituted unorthodox spiritualism for orthodox Catholicism, hooked deeply by the barb of immortality." "He says that his years of medical training were also the years 'when Huxley, Tyndall, Darwin, Herbert Spencer and John Stuart Mill were our chief philosophers, and that even the man in the street felt the strong seeping current of their thought, while to the young student, eager and impressionable, it was overwhelming. I know now that their negative attitude was even more mistaken, and very much more dangerous, than the positive positions which they attacked with such destructive criticism.' In fact, Holmes, he thought that every materialist was a case of arrested development. So you see, he was intensely hostile towards the materialists, and could well have designed the hoax to ridicule them." Again, a garbled response, translated as: "On the other hand, Doyle said that the worst enemies of religion are not the materialists, but 'those who clamour against all revision or modification of that strange mass of superbly good and questionable matter which we all lump together' and he places Darwin's Descent of Man on a pedestal." My mind scrambled for the point I wanted to make, I could not locate it. On the street, Holmes deposited the recycled rubbish in his mouth into a bin. I observed two shafts of sunlight, two beacons sweeping the pavement. Two rays. Edwin Ray Lankester. John M'Alister Ray. "Ah ha!" I contended. "The Captain of the 'Pole-Star.'" "John M'Alister Ray is Edwin Ray Lankester." In that short story, Sir Arthur directly attacks Edwin Ray Lankester as a materialist. Holmes, you are in trouble." "Why is that, Watson?"' His infernal coolness was a disgrace. The caporal he was smoking despatched several pedestrians unfortunate enough to have chosen the subway to avoid the automotive bedlam of Marylebone Road. "Because M'Alister Ray is the object of Sir Arthur's satire! He is the one who talks about superstition being absurd and puerile, about the supernatural as a delusion. Here." It was awkward, walking and reviewing my notes at the same time, but this would demolish Holmes's defense of Sir Arthur. "When Captain Craigle speaks of modern spiritualism, M'Alister Ray 'made some joking allusion to the impostures of Slade, upon which, to my surprise,' Ray reports, 'he warned me most impressively against confusing the innocent with the guilty, and argued that it would be as logical to brand Christianity as an error because Judas, who professed that religion, was a villain.' Sir Arthur was outraged by Lankester's exposure of the medium Slade. That is motive enough for the Piltdown hoax, better motive than those ascribed to any of the other suspects. Lankester and the evolutionists were attempting to destroy Sir Arthur's very religion, to which he held with the tenacity of a convert, and that is the best reason for his being the Piltdown hoaxer." Holmes had fallen fast asleep. He was truly a genius, not the least of his superb talents the ability to sleep and walk simultaneously. My argument had no effect upon him, but my thumping him on the head did. I was sure he knew the answer, but I will give it for your edification. "1883." "Then Doyle had his revenge in 1883. More wish-fulfillment than revenge. M'Alister Ray learns in the course of that silly story never to ridicule any man's opinion, even if the opinion is a belief in ghosts. I assume your premise-or is it your conclusion?-is that Lankester's exposure of the medium Slade boiled in our friend from 1883 to 1911, when he lanced it by committing the Piltdown hoax. You know, St. John's Road, two kilometers from here, was the home of T. H. Huxley'?" Holmes would have beaten anyone at trivia. "I am no literary critic," I reminded him, "but that metaphor-"
"Come, Watson, in direct opposition to your thesis, I would suggest rather that Doyle in 1883 disliked Lankester sufficiently to satirize him in the short story, but by 1910 had grown to like him, to use his works and his personality favorably in The Lost World, and to become friends with  him. For your thesis to be credible, Doyle should have executed the hoax in 1883, not 27 years later," Holmes grunted. We were seated, not comfortably, and sharing a repast of Egg Foo Yung. The house mustard brought tears to my eyes. One last charge in the accusation against Sir Arthur lingered. "How do you account for Nondescript?" I wept. "You'd better describe that hoax, Watson. People reading this now never heard of Nondescript." "A book by Charles Waterton, Wanderings in South America, published in 1828, a new edition in 1880. After describing the prehensile monkeys of South America, how they transport themselves through the trees, what their flesh tastes like, Waterton talks about a certain specimen, he calls it Nondescript, too heavy to take back, so he cut off its head and took that alone back to England. An artist sketched it. Waterton describes it as having features of a Grecian type." Holmes contributed, " '. . . a placidity of countenance which shows that things went well with him when in life.' "
"Exactly. Then he wonders whether it's a new species or whether the  original features had been destroyed and a set of new ones given to it. He welcomes someone to go and make great and innumerable discoveries in the remote wilds. He says that renovation could be performed on monkey heads. Here." I hurriedly put aside the chopsticks and read from my notes: " 'We could make the forehead and eyes serene in youthful beauty, and shape the mouth and jaws to the features of a malicious old ape. Here is a new field opened to the adventurous and experimental naturalist.' Now, Holmes, Sir Arthur had long been thinking of revenge on Edwin Lankester. He decided to fabricate a second Nondescript, forehead human but mouth and jaws that of an ape. Dawson had found a cranial piece in the Piltdown pit. Sir Arthur planted the rest. Charles Waterton was the most famous alumnus of the Jesuit school of Stoneyhurst, the very school which Arthur Conan Doyle attended as a child." "On the other hand, you see, Waterton's book could well have been the inspiration for The Lost World without any contribution whatsoever from the Piltdown pit. Have you ever read When It Was Dark?" "No." I always feel outr_ when people ask me if I've read a book of which I have never heard. "It's all about a hoax. I don't recommend it, Watson, it's a sanctimoniously dreary tale. But of relevance. May I tell you about it? Have a slice of pineapple. A wealthy industrialist named Schaube conceives a plan to destroy Christianity. He blackmails an archaeologist, Llewellyn, to fake the sepulchre of Jesus. The hoax works, just about everyone thinks that Jesus had died and been buried, no divinity there, no resurrection, no redemption. The effect on the world is, as you might well imagine, dreadful. Riots, rapes, murders, desertions, Sepoy mutinies, a return to slavery, dynasties tremble, civil wars break out, Jews, Unitarians, and atheists are delighted. Then a clergyman named Gortre discovers and publicizes the hoax. Christianity lives. One of the archaeologists dies of a broken heart, another just dies, and Schaube ends up an idiot in a kook farm." I poured a cup of tea for Sir Arthur, who had joined us. "What have you discovered?" he demanded. Holmes took the lead. "The evidence against you is weak. We should be laughed out of court if we came with such a story and such evidence." [180[ "And your opinion, John?" Arthur Conan Doyle had been a proponent of spiritualism back in 1883. Irritated by the attacks on spiritualism by the materialists, especially Edwin Ray Lankester, he composed the story "The Captain of the 'PoleStar,'" in which Lankester is dramatized in the character of M'Alister Ray. Sir Arthur, I realised in ruminating over a slice of tart pineapple, was not an opponent of evolution then or later; but he disliked those who would not see what he thought clear evidence for the existence of ghosts and fairies. Lankester still made known his view that spiritualism was ridiculous. His Kingdom of Man, published in 1907, was the immediate impulse for Sir Arthur to attack him once again. Sir Arthur was familiar with Waterton's Nondescript, and he used one aspect of that source, its adventure, for the plot of The Lost World. But the book also gave him another idea, that of showing that some materialists were as credulous as some spiritualists. In The Lost World, he informed the real world that he intended to perpetrate a hoax. References are made to a prehistoric practical joker and to bones "vamped" for the occasion. I recalled that critical line, If you are clever and know your business you can fake a bone as easily as you can a photograph." Sir Arthur knew his business-anatomy, geology, palaeontology. He even told everyone where he would plant his home-grown Nondescript, right in the Sussex weald, and he generously provided a map. He had travelled widely, and could easily have collected the exotic as well as domestic fossils, and the skull. True, he was occupied with important affairs of state, but planting the fossils would not have taken much time away from them. He was a great walker. Two questions have always remained unanswered in the Piltdown quest. How could any of the suspects have placed his own career at such risk should the hoax be exposed and he be identified as the hoaxer? For the amateurs, moderate injury would have followed that revelation; for the professionals, serious loss of standing. The only one who was not placed at any risk, who could have walked away scot-free, was Sir Arthur. As a literary man, he was not subject to the rules of civilized behavior. Had it been found out that he was the hoaxer, those interested would have laughed with him, not at him. The other question is why the hoaxer did not reveal what he had done. Vengeance could only have been satisfied if people were told. The reason why Sir Arthur did not reveal it is that the hoax backfired on him. 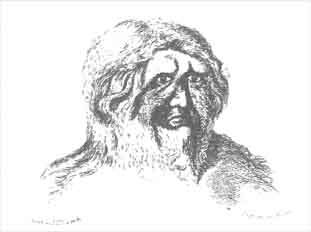 The object of the enterprise, Sir Edwin Ray Lankester, had not been hoaxed: he did not believe in Sir Arthur's resurrected Nondescript, he questioned the combining of human skull and ape jaw and the Site 11  finds. It would have been ludicrous for Sir Arthur to claim credit, for instead of proving that the exposer of the medium Slade was as gullible as Slade's clients, he had proved the very opposite. His autobiography does not even mention Piltdown (as hoaxer, he did not want to have the hoax associated with him). Best to forget all about it. I felt that Professor Winslow's brief was even stronger than he has so far indicated, and that Sherlock Holmes was wrong. I felt, to speak personally, that the adventure of Queer Street had emancipated me from Sherlock Holmes. Having thought out all this, I began, "You were a proponent-"
"You needn't repeat it, John. It is just for such thoughts that I was desirous of your participating in this investigation." I handed him a glass of burgundy, which he sipped as he sat lightly for a man of his stature upon an unsteady pile of yellowing case histories. "Gentlemen," he toasted, "I express my whole-hearted agreement with you." He upended the glass, and there was nothing left of him but a trickle of red wine in the smoky air and an echo of a bubbly laugh. Though Sir Arthur had read my mind, Holmes had not, and so I explained to him what I had concluded, emphasizing the three points of Sir Arthur's having alerted the world to the forthcoming hoax, of its having been relatively risk-free for him, and of its failure, thus the subsequent suppression. Holmes disagreed with each of my arguments. 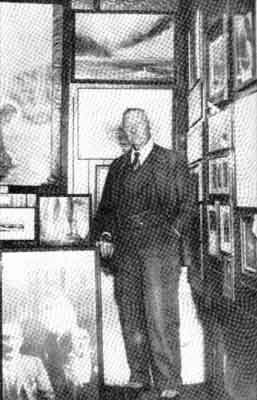 To the first, he responded that the hoaxing talked about in The Last World referred to the past episode of Nondescript and not to the future episode of Piltdown; to the second, that there was indeed risk to Sir Arthur's reputation not as a writer but as a statesman; and, to the third, that it was my most creative effort since he had known me, but that Lankester's attitude was sufficiently ambiguous that Sir Arthur could have claimed victory. Well into the night, we discussed the possibility that Sir Arthur had suspected a hoax at Piltdown-which explained more the more I thought of it. Brush-strokes of dawn painted the sky azure and chimneys a rusty red. Finally, in exasperation, I urged Holmes, "Well then, who do you think was the perpetrator of the Piltdown hoax?" If anyone In this world could crack this awful coconut of a case, it had to be Holmes, his keen mind applied to exhaustive research being an irresistible combination. "It is obvious, my dear fellow." He lit up a joint. I nodded my head. "Yes, it is, I see that, but, Holmes, who?" "So obvious. Staring us right in the face all this time." "All right. It was none other than, the Piltdown perpetrator, the man who so confused the world of science and seduced generations of scholars into unseemly occupation, was none other than-Professor Moriarty!" "You must be joking, Holmes," I cried. "It is absurd. Professor Moriarty died at Reichenbach Falls fifteen years before the first Piltdown cranial fragment was found!" "I was never more serious in my life. I survived the fall into the chasm. You yourself long thought me dead. It is reasonable to deduce that, if I survived, Professor Moriarty also survived, and has enjoyed the most cunning, the most diabolical, and the most malicious revenge in the entire history of fiction." "The motive, Holmes, the motive!" "To frame Sir Arthur Conan Doyle." I saw. "I see," I said. I now understand why Sir Arthur had warned us that the resolution of the Piltdown case would be important to Sherlock Holmes and myself.